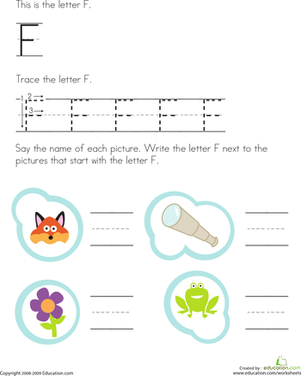 Students will be able to identify words that begin with the letter F. Students will be able to make the sound of the letter F. Students will be able to form the letters Ff. 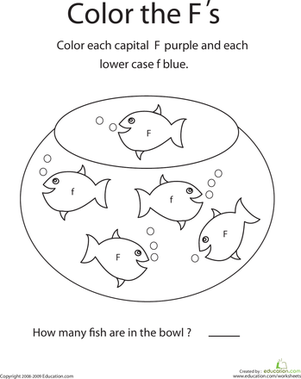 Display the images of things that begin with F so that all of your students can see them. Possible images could include: Flag, frog, fish, fan, football, flower, fire, etc. Go through the items one-by-one, having your students say the name of each item aloud. 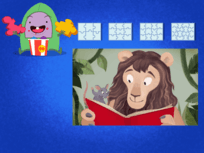 Ask students what all the pictures have in common. After a few students answer, explain that today the class will be learning about the letter F.
Demonstrate how to make the /f/ sound, while describing how each student can do the same. 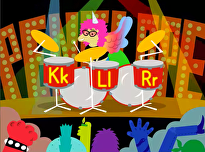 For example: The letter F makes the /f/ sound. Make the /f/ sound by placing your top teeth on top of your lower lip and pushing air our of your mouth, like this. Challenge your class to think of more words that begin with the /f/ sound. Write all of the correct answers on the whiteboard. Write an uppercase F and a lowercase f on the board. 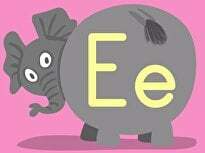 Explain that F and f are the same letter, but one is uppercase and one is lowercase. 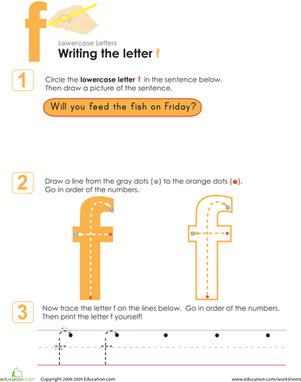 Instruct your class to practise tracing the letters F and f with their fingers, on their palms. 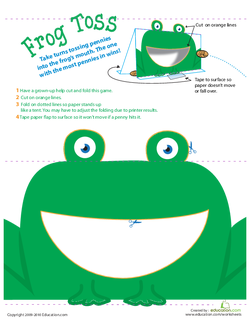 Using a pair of scissors, cut out each of the frogs on the Coin Toss worksheets. You will have five frogs total. 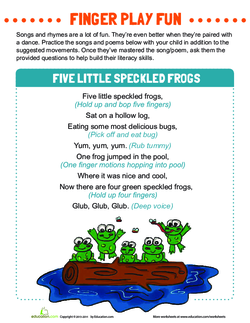 Teach your class the lyrics to Five Little Speckled Frogs, using the printout. 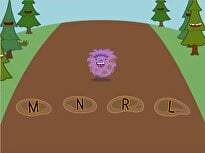 Where you can, add in the /f/ sound, to reinforce the letter-sound correspondence for your students. Call up five students, and give each of them a frog cutout. 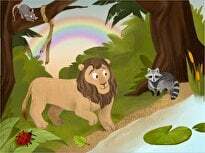 Instruct your five volunteers to act out the song as you and the rest of the class sing along. Sing Five Little Speckled FrogsWith the class, and ensure that each time a frog jumps into the pond, one of the five student volunteers acts this out. After the song, ask your students some comprehension questions. Great suggestions include: What letter does the word frog begin with? 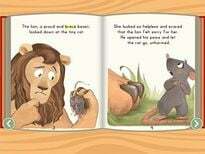 What sound does the letter F make? What is another word in the song that starts with the letter F? Explain that next, the class will be using play dough to make an uppercase F and a lowercase f.
Write an example of F and f on the whiteboard, for students to reference as they work. Give your students play dough and monitor their work. Ensure that they understand the differences between F and f, and that they're reflected in their work. Enrichment:Encourage advanced students make CVC words that begin with the letter F using their play dough. 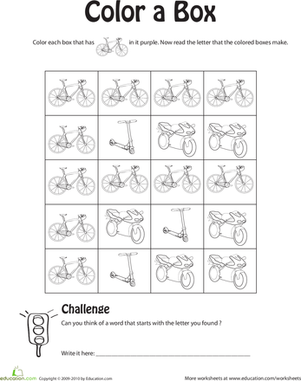 Challenge these students to go on a "letter F hunt" around the classroom, finding things that begin with the letter F.
Support:Assist struggling students as they form the play dough letters by providing an outline that they can use to correctly form each letter. Use a document camera to show the letters students make using the play dough. As they form the letter, display their work using the camera. 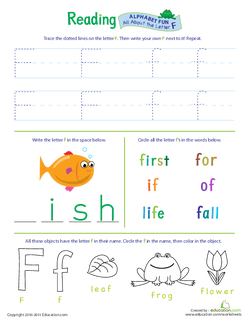 Pass out a copy of the All About the Letter F worksheet to each student. Circulate around the room as your students work, answering questions as necessary. To close the lesson, tell your class to listen carefully as you call out different words. When they hear a word that begins with the letter F, instruct them to put their hands together and wiggle them like a fish. 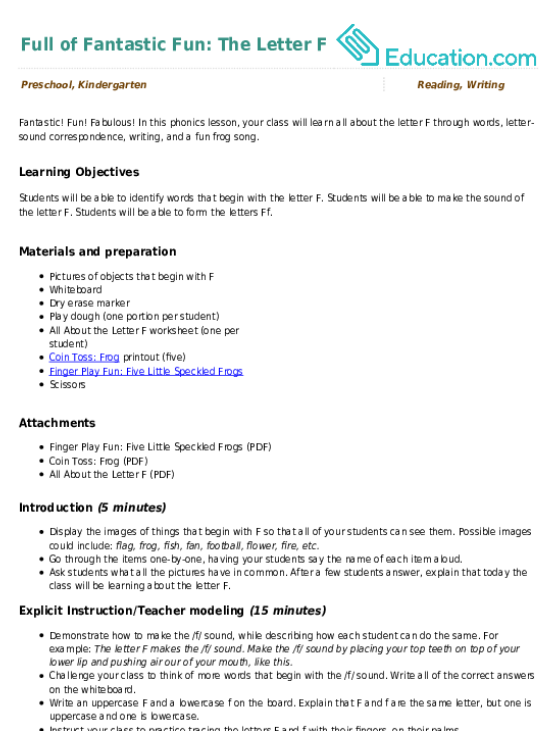 Demonstrate this motion. Once students have the hand motion down, begin calling out words. 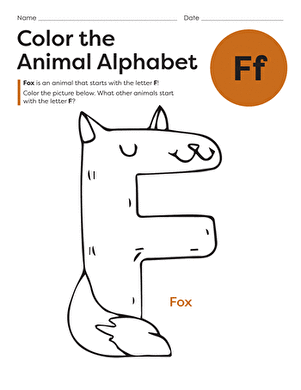 Praise students who perform the hand motion when you say a word that begins with the letter F.
This fun alphabet coloring page will have your child coloring a frisky frog while learning the shape and sound of the letter F.
Learn the alphabet the fun way! colour in flamingos in the shape of the letter F.